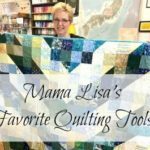 You are here: Home / quilting / All About Thread – Mama Lisa Monday! 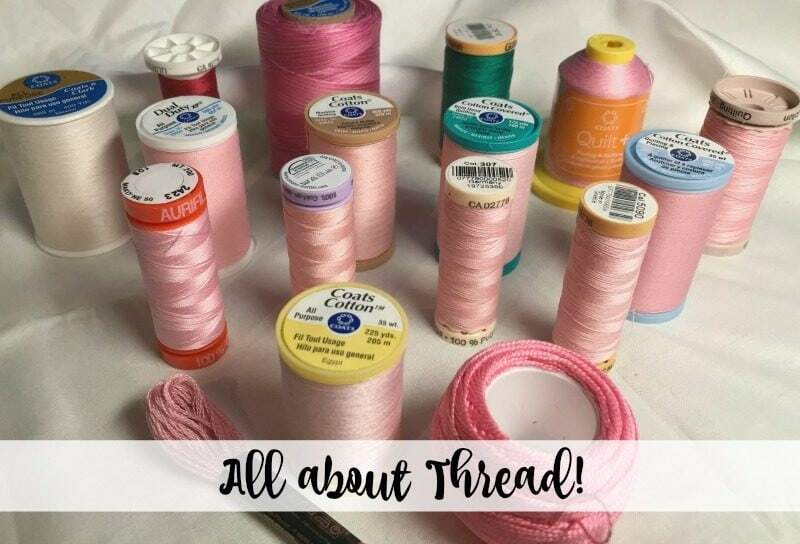 Mama Lisa is back to share with you TONS of info about thread. This is not a part of sewing and quilting to overlook. This step can really make a difference in your project and cause a lot of frustration. Mama Lisa is here to walk you through it! Take it away Mom! Sew many thread choices! Hehe, pun intended! 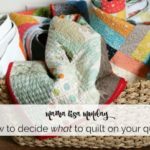 When I first started quilting, I used the most bargain thread I could find but over time, I’ve learned a lot and understand how much the thread can impact your results. However, that learning was not always easy. In this post I want to pass along some key points about thread that will help you know which one to select for the task at hand. We will keep our discussion for this post specific to threads used in quilting. Let’s take a tour of some choices and why you might select each one. Cotton and polyester are the most common threads used for piecing and quilting a quilt together and come in a variety of weights and colors. Both Cotton and polyester are strong but polyester will have a little bit of give or stretch. Cotton tends to have more lint but are often processed in ways to reduce the lint and create a smooth or shiny finish to the stitch. When shopping for thread, I noticed the term “mercerized cotton” was used often but what does that mean. Google to the rescue! Mercerized cotton is a modern production method that treats the thread in chemicals that increases luster, strength, affinity to dye and resistance to mildew. Thread comes in various thicknesses and is often identified by a number. The higher the number, the thinner the thread. I recently went to a big box store to shop thread. I found that some of the manufacturers do not put the thread weight number on the spool or the display. 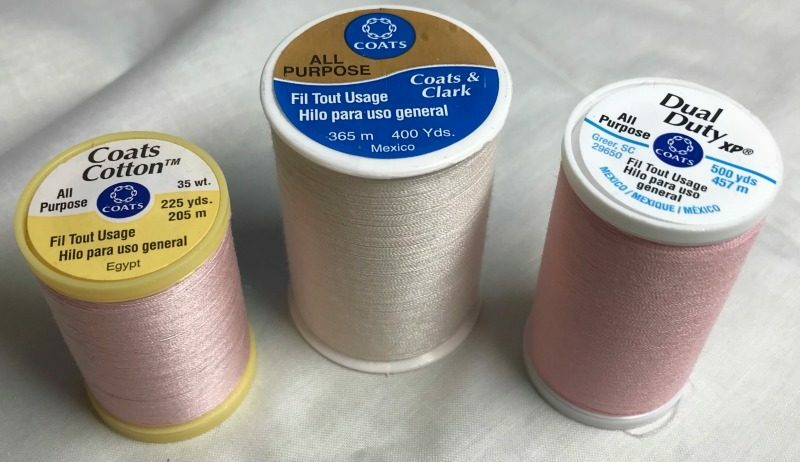 General all-purpose thread from Coats and Clark is 35wt where as Aurifil is 50wt. and much thinner. 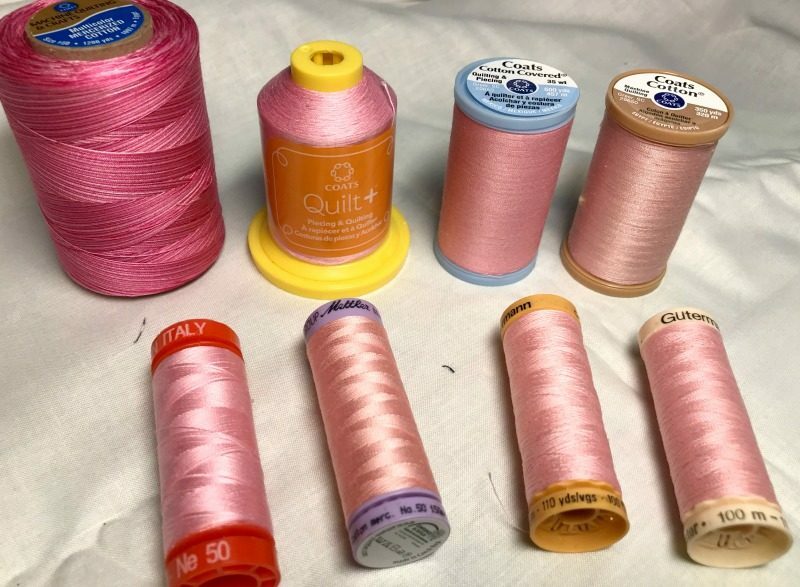 Hand quilting, embroidery floss, Pearl cotton, 28wt floss, all purpose, machine quilting, 50wt and a whole slew of different brands can be challenging to figure out. 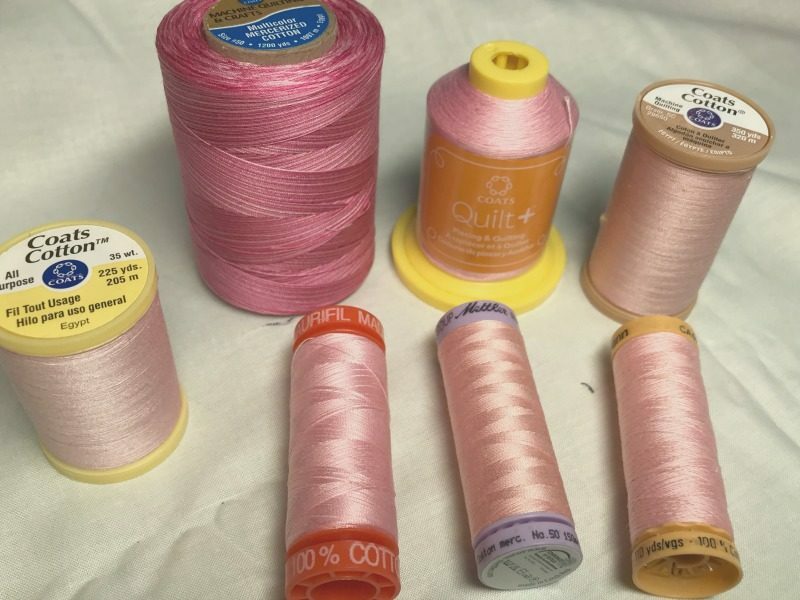 There are also many variations of specialty threads, a variety of manufacturers and other alternatives for sizes and types of thread that I will not cover in this post. While I do have a favorite brand (Aurifil), I’ve used lots of different brands with great success. Knowing what all the different types are and how they are used then allows you to shop brands for colors, cost and size of spool. Shopping for thread can sometimes be for a specific purpose like decorative stitching on a holiday project or you only need a small amount for that table runner or it just has to be a perfect match on color. All of these may influence what you decide to purchase. Matching color is difficult when shopping online so you may want to buy a color card from one of the manufacturers or develop some standard “go-to”colors that blend well. The size of spool and how many yards are on it impact how far that spool will last and the true cost. Thinner threads have more yards per spool and less breakage so they last much longer. Hand Quilting thread is typically thicker and coated or treated such that it is a bit wiry and very strong. I love to use this type of thread for hand stitching my binding to the back of the quilt. I can use a much longer piece of thread without all the twisting and kinking that can happen with standard thread and I know it is super strong and can withstand lots of use and washing. Embroidery Floss, Pearl Cotton and 28wt. Floss sounds like it’s for embroidery, right? Well, it is but can also be used to tie quilts, embellish motifs in quilts or hand quilt particularly the newer “big stitch” style. Pearl cotton is very distinctive boasts quite a sheen. These threads are not be used for piecing or general purpose sewing. This is very common in major retailers and typically is 30-35wt. thread. They come in a wide range of colors and can be cotton or polyester. This is where every person can decide on their own what works for them, but my experience tells me that while I successfully used standard all purpose thread for many quilts it was more problematic to use. More thread breakage, quilt blocks didn’t lay as flat and tension was difficult to set and keep working consistently. This type of thread has significantly more lint and I just generally shy away from it now that I’ve had more success with 50wt. thread. 50wt thread is much thinner and can be used for piecing, quilting and general all purpose sewing. 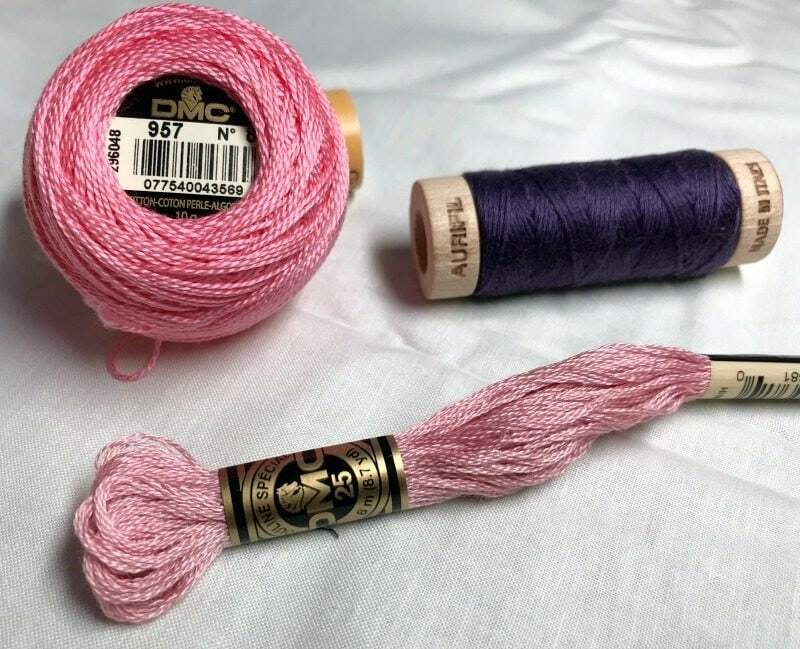 Mettler, Aurifil and Superior Masterpiece are all 100% Egyptian long staple cotton and are generally available at local quilt shops or online shops. This thread lays in the creases of seams without taking up space which creates very flat seams and blocks. It is strong and resists breaking and has much less lint. This thread glides much smoother through the needle and through the cotton fabric for a stitch that won’t damage the fabric if it has to be picked out. Also available was Gutermann thread which had fewer choices in types of thread but simpler to understand and lots of colors to choose from. Gutermann is a German manufacturer and I’ve had very good results using this thread. For me, choosing Aurifil, 100% cotton, 50wt. 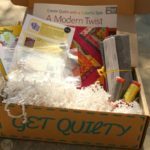 thread has helped the quality of my quilting and significantly reduced my frustration. Want more from Mama Lisa? 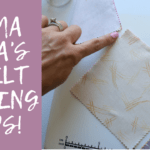 Check out her piecing tips HERE! Hi, Melannie. Just signed up for your newsletter/blog. Looks like lots of fun information. Where do I create and account to look around in the library? Hi Melanie, thank you for doing a great job of explaining threads. 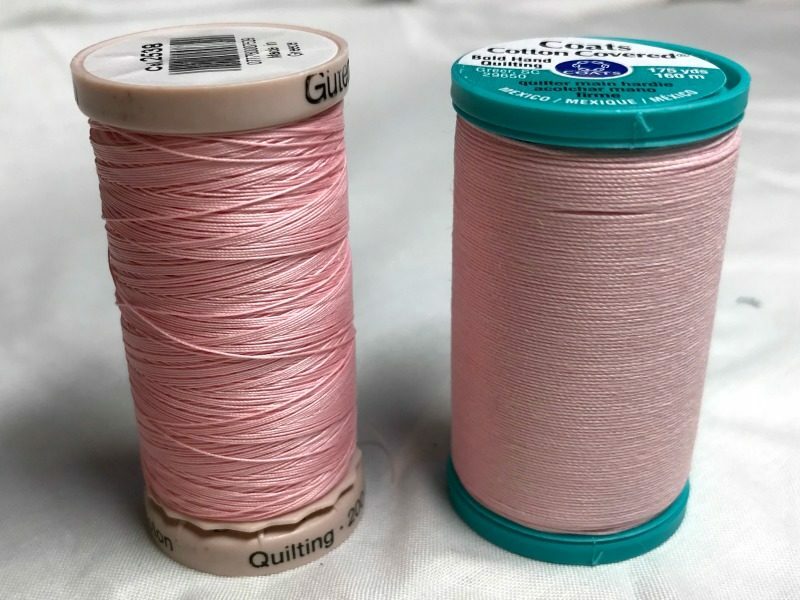 I use Gutermann threads all,of the time in my projects and find that as long as you use the same thread in the top as well,as the bobbin the sewing goes well.